I usually try to not make a big deal out of new years. It’s nice to see how people around the world get together to celebrate it, but as far as our personal lives are concerned, it doesn’t make a huge difference. I mean, you go to sleep on a Saturday in 2011, and wake up on a Sunday in 2012. Except for the festivities, it’s really like any other Saturday -> Sunday transition. Having new year resolutions are nice and all, but if a resolution is important enough and we are serious about pursuing it, we really don’t have to wait until January 1 to get started. It could easily start on December 29 for example. A lot of us also look back at the ending year and see what we have experienced and accomplished. It is always good to get perspective on our lives, but again, why wait until the new year to do it, when it can be done at anytime, and more frequently than once a year? 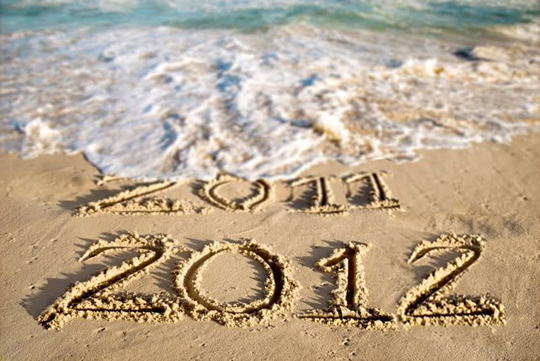 Having said all that, when the calendar turned to 2012, it made me realize that the trip is right around the corner. I still have a lot of things to do before departure. It feels like moving to a new city, but worse. At least when you are just moving, you can just dump all the junk into boxes and sort later. I’m trying to minimize my possessions so they won’t take up too much space while I’m gone for 3+ years. I also feel that I haven’t researched enough about possible destinations. In the internet age, this can always be done once on the road, but I think the pre-trip research is a very fun process. It gives me the chills sometimes when I discover a new place through a video or a picture, and say to myself “I want to, and will be there”. My departure date should be around the beginning of November, and the first destination will most certainly be New Zealand. That leaves me 9 more months at home. Aside from the many hours I spend working, the planning for the trip which I’m not doing nearly enough, I also want to enjoy the comforts of home that I know I will miss once on the road. I’m a big sports fan and I will miss following my teams on TV. I will also miss my room, my bed, my computer with dual monitors, my car, etc. All pretty superficial things, but I got used to them. There are also a few places I would like to see around here (like the Grand Canyon) before I leave. Going on a long trip like this is not all 100% positive. I actually enjoy my life back home and I’m not leaving to try to escape from something. To help better manage my time and tasks, I started making a list of all things I need to do before departure. The list includes tasks like donating old clothes, booking the plane ticket, updating the theme on this blog, etc. There are about 150 items on the list. I put the travel related tasks on this post, and will be updating it regularly. I will hopefully finish these tasks with time to spare, so I can enjoy the last days before departure without stress.